Q. Where can I find maps of the University's campuses? 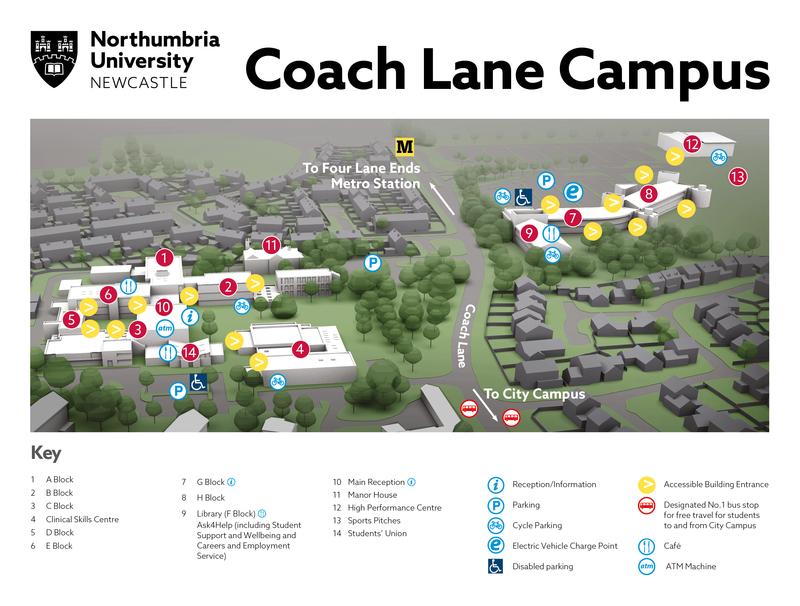 Directions to Northumbria University's City and Coach Lane Campuses are available on the University's website - copies of both City Campus and Coach Lane Campus maps can also be downloaded using the links below.